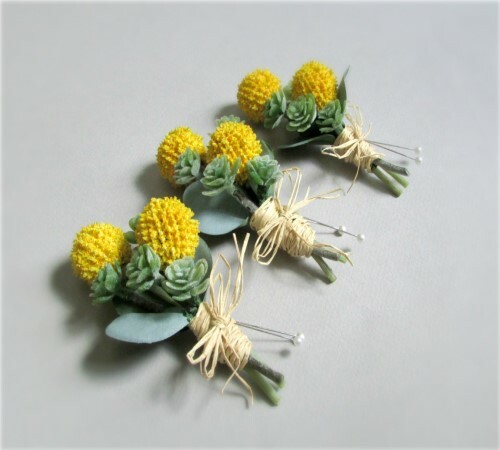 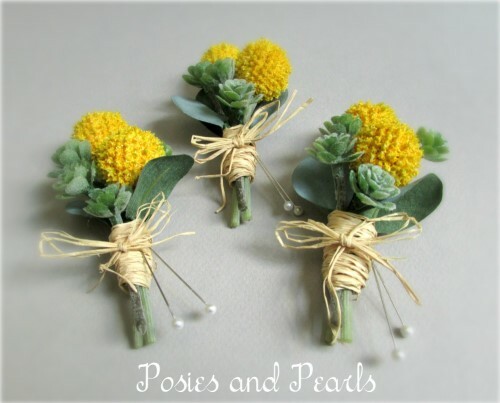 Cheerful artificial yellow craspedia or Billy Button globes are the highlight of these boutonnieres. 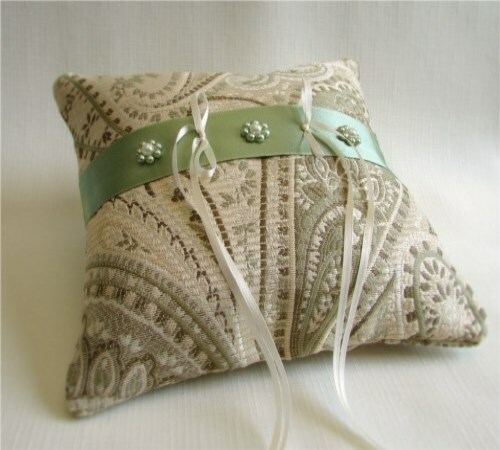 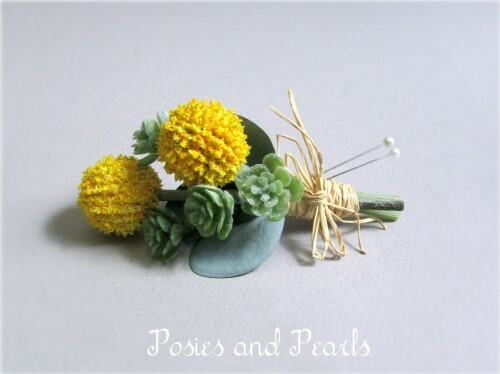 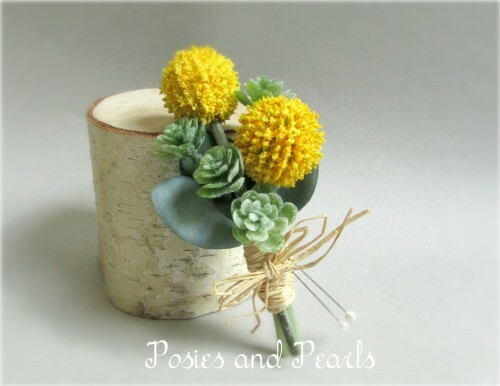 Accents of dainty green sedum succulents and soft eucalyptus surround the blooms and natural raffia wraps the stems. 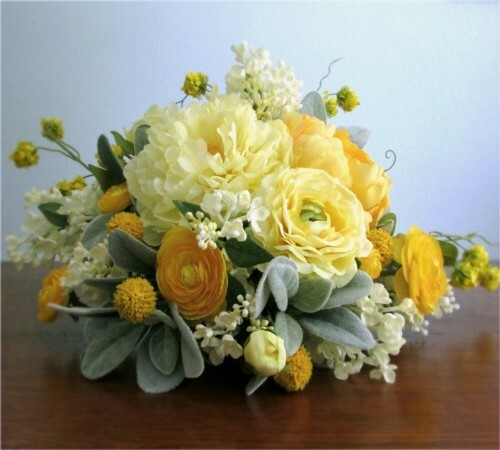 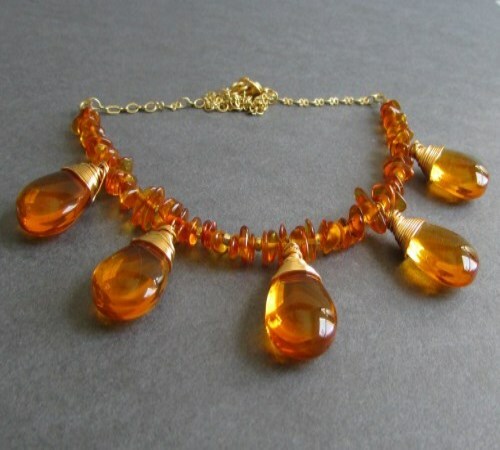 If you need more than the current available quantity, please contact me and I will be happy to help.